Lorna read Classics at Lady Margaret Hall, Oxford University; she then studied for a doctorate on 'Magical Realism in Ovid's Metamorphoses' at University College London. After acclimatising herself to daylight again, she went into teaching. She created The Iris Project and Iris magazine to promote Classics in state schools in 2006, and runs Latin and Greek projects in state schools across the UK. She also set up 'Latin in the Parks' for adults to have a go at picking up Latin. She created the East Oxford Community Classics Centre in 2013, and develops and organises all aspects of its day-to-day running. She has written a book expanding on her doctoral research, "Ovid and Gabriel Garcia Marquez", and has also written a Latin course Telling Tales in Latin which introduces Latin through the stories of Ovid. She lives in Barton in east Oxford with her husband Duncan and five year old daughter Rachel, and in her spare time seeks out woods, music, books and occasionally sleep. David is Head of Higher Attainment and Post-16 Progression Routes at Cheney School. David is the member of staff at Cheney School who liaises and collaborates with the East Oxford Community Classics Centre. He plays a crucial role in helping to plan, organise and run all events, workshops and projects which involve Cheney School students, and shares his classroom with the Centre. He has been involved with the Centre from the very beginning, and we are enormously grateful for all his time, faith and energy. Mai is the University of Oxford's Classics Outreach Officer. Academic tutors and students from the faculty are involved in running Classical themed workshops and talks as part of the Iris Literacy through Latin scheme and East Oxford Community Classics Centre, and Mai is involved with the recruitment process for these students. 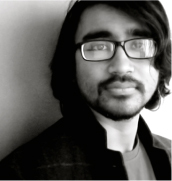 Soham is an visual artist and an illustrator. His work has been shown at group exhibitions in Oxford. He graduated in 2008 with a B.Arch (Honours) degree from Bengal Engineering and Science University, Shibpur, India. In 2010 he completed an MA Urban Design from the Joint Centre for Urban Design, Oxford Brookes University. 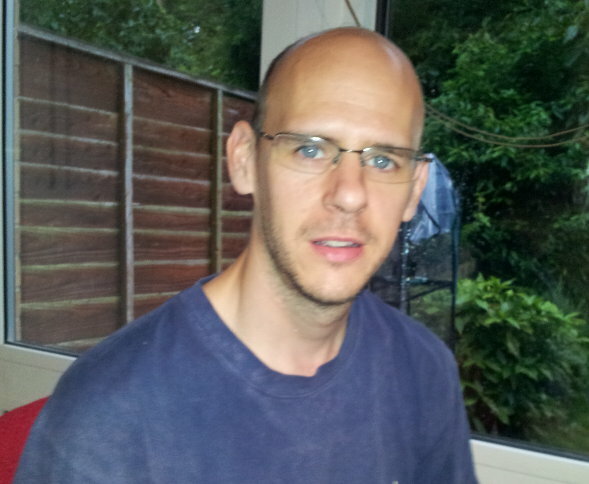 He is currently collaborating in writing Eco- Responsive Environments to be published in 2013. Soham designed and painted the murals at the East Oxford Community Classics Centre. He is currently painting two new wall murals to add to the three he completed last year. Aarón studied for a degree in Archaeology and Anthropology at Durham University where he became interested in the inter-cultural relations of the Mediterranean during the Late Bronze Age and Iron Age. As part of his doctoral research at the Institute of Archaeology (Oxford University), he explored the interactions between indigenous communities in the Ebro Valley (North East Spain) and Mediterranean cultures, principally from the perspective of wine trade and consumption patterns. He combined this with an interest in the links between identity, agency and material culture. Aarón is creating a digital catalogue of the many artefacts at the centre; he will also develop workshops involving the artefacts which will be embedded into the "What Is History" module studied by all year 7s at Cheney School. These workshops will also be delivered to students and other visitors from the wider community. Through his work at the centre, we aim to make the artefacts collection a vital, accessible and exciting aspect of the centre. Louise spent four years studying Classics at Durham University, developing a particular interest in the use of alternative versions of myths within epic poetry. After escaping her post-university employment in a bank call centre, she spent several years as a teaching assistant both in the north east and south west of England, with the end goal being to become a Classics Teacher. Whilst in the north east, Louise became a long-distance volunteer with the Iris Project's activities at Cheney School with the EOCCC as an amateur artist. Her first work was to design and paint ten metre walls covered with copies of original Roman graffiti found on the walls of Pompeii and Herculaneum. Her most recent project comprises two walls around the theme of myths and storytelling, interspersing the well-known with the less well-known Classical myths from ancient Greece and Rome. She lives in rural Somerset with her fiancé and his family with its rapidly expanding family farm. When she has spare time from personal study and painting, Louise enjoys playing folk music, jewellery making and going to the theatre. Duncan gained a degree in Physics from Oxford University, and an MSc in Aerospace Dynamics from Cranfield University. He then became a computer programmer, and currently works at a financial firm based in Oxford. He has long been involved in the organisational side of Iris and is a trustee. He built the current Iris Project and Iris Online websites using a CMS called Joomla, and the EOCCC website using a CMS called Orchard. He is the web administrator and developer for the charity. Duncan's education was lacking in classics, a situation he is in the process of remedying, and he was inspired by the re-enactor visit to construct a replica hoplite shield!